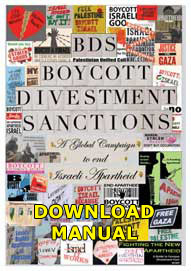 The Scottish Palestine Solidarity Campaign has published an e-book on the Jewish National Fund (JNF) that meets a need for an affordable introduction to the activities of the JNF, an organization supported financially by the British taxpayer but whose activities in Israel/ Palestine are politically-driven, and whose politics are nakedly racist. 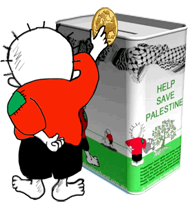 This little book reveals how a British charity works openly for the dispossession of Palestinian Arabs and the establishment of fully segregated Jewish-only communities and areas that exclude Arabs. 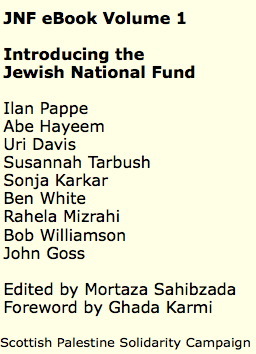 The JNF initially failed to secure charitable status, being refused by the House of Lords in 1932, but it now enjoys charitable status for activities that would be illegal if carried out in the countries where it raises the funds, including the UK where the JNF enjoys the patronage of Prime Minister Gordon Brown and the leaders of the other two main political parties. 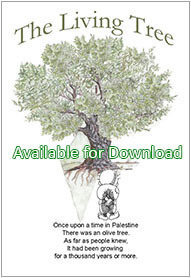 Edited by Mortaza Sahibzada, JNF: Colonising Palestine since 1901 is available for download from the Scottish Palestine Solidarity Campaign. 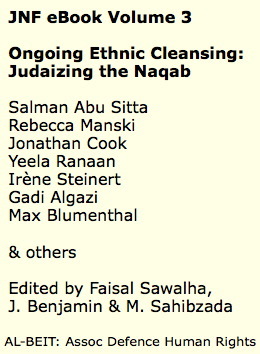 Ilan Pappe’s introduction reveals through the open commitment of the JNF’s founders to the expulsion, what is today termed “ethnic cleansing,” of the native Palestinians and their replacement by Jewish immigrants. Pappe discusses the JNF’s success in obtaining much of the land pillaged from the Palestinians by the Zionist militias through murder and violence in 1948 and its effective control of much more through its role as an agent of the State of Israel in keeping almost all the land surface of Israel for exclusively Jewish ownership at the expense of Israel’s one million Palestinian citizens. 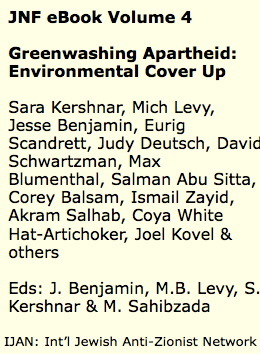 The author shows the JNF’s audacity in presenting itself as a “green” movement as it plants trees with the express aim of obliterating all traces of ethnically cleansed and destroyed Palestinian communities. Abe Hayeem of Architects and Planners for Justice in Palestine analyses the intense politicization of Israeli architects and their complicity in Zionist war crimes. While the JNF was intimately involved in the racially-driven confiscation of Palestinian lands, architects also worked easily in the nightmare world of legally-designated “Present Absentees,” i.e. Palestinians still inside Israel after 1948 but whose land was slated for transfer to exclusively Jewish ownership. Bringing the story up to date, Hayeem notes the JNF’s involvement in illegal confiscation operation on behalf of the Israeli state, in collusion with illegal settlers in the occupied West Bank, the intimidation of Palestinian land-owners by Jewish authorities, and the complicity of the country’s architects in racist schemes to oppress and dispossess Palestinians. Uri Davis examines the British Park, proclaimed in a sign there as “a gift of the Jewish National Fund of Great Britain.” The British Park is built on the ethnically cleansed Palestinian villages of Ajjur and Zakariyya, making the UK JNF complicit in war crimes and unfit for charitable status on grounds of multiple violations of international humanitarian law. Astonishingly, Prof. Davis alleges that the British Park is used to store some of Israel’s nuclear weapons of mass destruction. Sonja Karkar criticizes Australian PM John Howard for allowing a JNF park to be named after him in the Negev, where the Israeli system of apartheid takes the form of forcing the local Bedouin Arabs off their land and into villages that the government they are citizens of refuses to recognize or supply with basic services. The John Howard Park shares the Negev with Government crop-spraying aircraft which destroy the Bedouin’s crops. Ben White, author of Israeli Apartheid: A Beginner’s Guide, tackles the Kafka-esque mind-game of an Israeli park being dedicated to Black civil rights leader Martin Luther King, the non-Jewish property owners being categorized as “present absentees,” and the fruits of Zionist ethnic cleansing supposedly “perpetuating the message of equality and peace.” White shows how the attempt to associate the Zionist colonial venture with the US civil rights movement comes up against the harsh reality of Israeli ethnic cleansing with the JNF center stage. In similar vein, Raheli Mizrahi argues that the Venezuelan and Bolivian governments should take action against their local JNF bodies and deny the Israelis the ideological cover provided by their appropriation of the symbols of the anti-colonial struggle in South America. She touches on the sometimes cruel treatment of Arab, notably Yemeni, Jews in Israel. 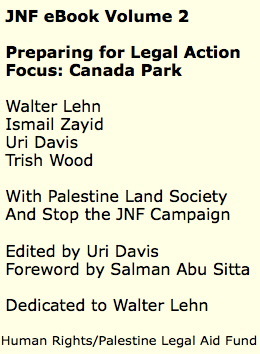 The authors of the closing remarks section report on the intra-Zionist discussions at a London JNF fundraiser before their vocal protest at the JNF’s ongoing land theft and racism. 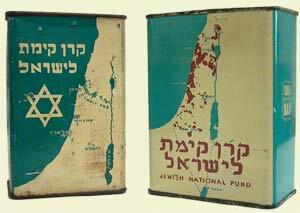 Seven appendices contain important documents relating to the struggle to end the impunity the JNF derives from official support in many countries.